Farmer Jess on WHYY’s Radio Times! Jess was fortunate to be part of a panel on WHYY’s Radio Times with Mary Cummings-Jordan discussing different perspectives on farming in the greater Philadelphia region. Listen to the August 23, 2018 episode here, or download it from your favorite podcast supplier! Chickadee Creek Farm featured in Hopewell Valley Neighbors! The August, 2018 edition of Hopewell Valley Neigbors features Chickadee Creek Farm! Read the full article by Catherine Bialkowski and see photographs by Benoit Cortet here. Farmer Jess recognized as NJ Outstanding Young Farmer! Farmer Jess was recently named NJ’s Outstanding Young Farmer of the year. Read more about it here. HOPEWELL TOWNSHIP — She grows 40 different kinds of organic vegetables and fruits on 17 acres in town. She can fix a tractor. She has a trusty dog named Tilly, and now Jessica Niederer has been chosen as New Jersey’s Outstanding Young Farmer. State Secretary of Agriculture Douglas Fisher was at Ms. Niederer’s Chickadee Creek Farm on Titus Mill Road on the morning of Oct. 22 to formally recognize the 31-year-old agriculturist for earning the award. “To be able to be an organic farmer and be successful is a tribute to you and a tribute to the people who work with you, and to your leadership. You are one of the hardest-working farmers I’ve ever met,” Mr. Fisher said, standing next to Ms. Niederer in a field for a photo opportunity with several other dignitaries. The rest of the article by Frank Mustac can be found here. Sign-up for our farm newsletter! 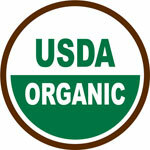 Chickadee Creek Farm is Certified Organic!